I have created an index page for the whole 30 day Speed Creating project so that it is easy to view here. Check it out in case you missed a day. I’ve received lots of pleasant emails and comments about the project so thanks for that. Currently I am being invited to talk about the project by different creative organisations so that is keeping me busy. The main aim of the project was to make things instinctively and force myself into making decisions quickly. I believe that some things can only be discovered by getting your hands dirty and just doing it. Try it, see if it works, if not then adjust it or learn from it and do something different. I think when the mind is concentrating on what the hands are doing then the sub-concious mind gets freed up to observe and make creative links. What may appear as a bit of fun to some is deadly serious work to me. Looking back, there is an eclectic mix to each day, it’s always difficult for people to pigeon hole me as a certain type of creative person who works in a particular way. I’m just interested in doing things that excite me and attempt to shine a little light through the fog of everyday normality. Here is a list of some other examples of people’s creativity that have emerged from a process of thoughtful, hands on experimentation. 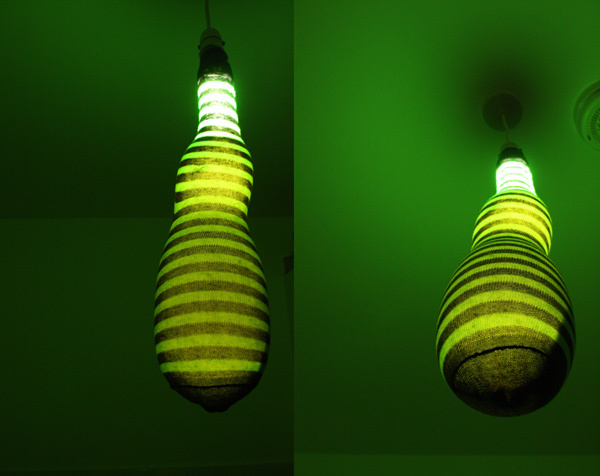 Vase Made by Bees by Tomáš Libertiny who I met briefly in New York. 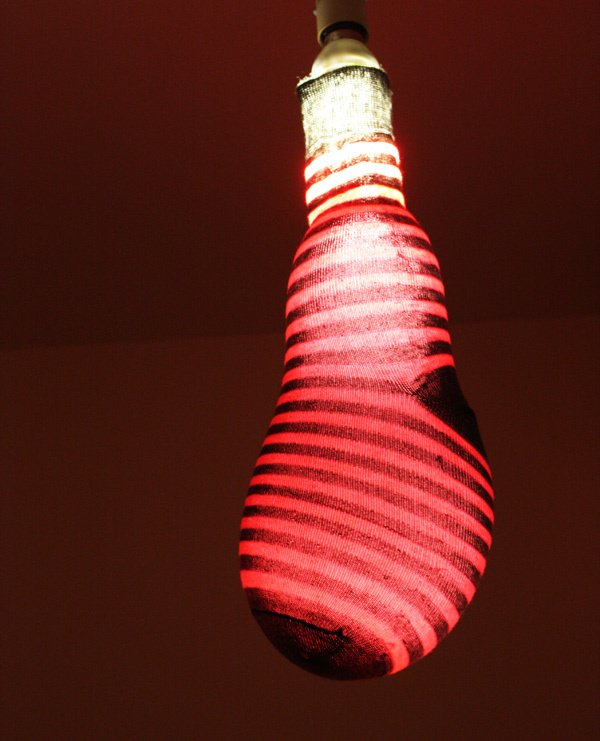 Maarten Baas is another example of a creative person who takes a path of experimentation in his work. His most well known work is his Smoke furniture range where he sets fire to furniture then strengthens it again with resin. 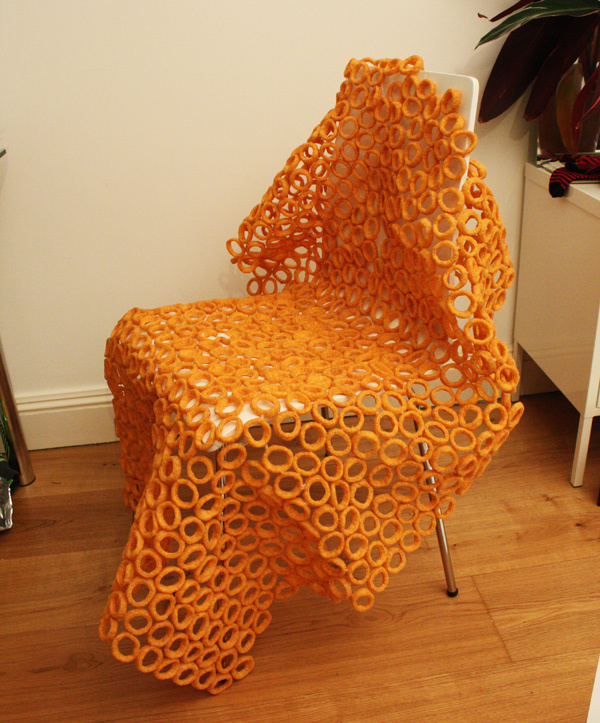 While I was at the Royal college of art there was a group of people who believed in re-thinking material use and making processes in order to create unique objects. One, more recent RCA graduate was Max Lamb who does some great work like this video of a table made from digging a hole in sand. The last day of my speed creating project and I wanted to do something that I had a strong feeling could be a total failure but still a hope it might just work. I have no idea how this idea arrived in my head but the plan was this. 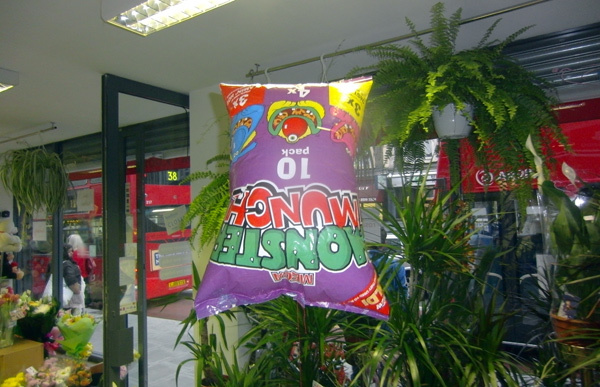 Buy crisps (chips) crush them up, add a little water and form into a little man, then inflate the crisp packets with helium, tie them to the man and let him fly away. 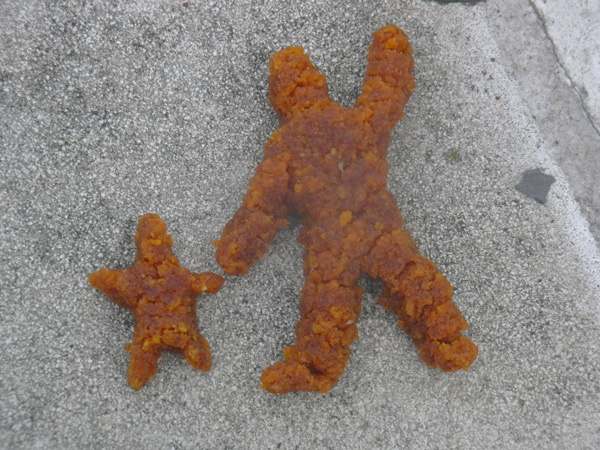 Anyway I had some packets left over from the day before and started making a little man and his son incase he was too heavy. 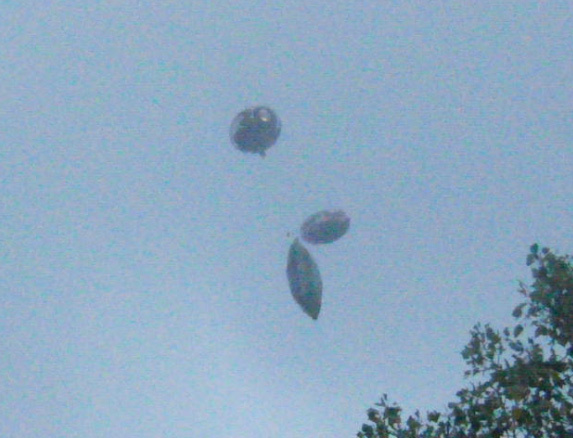 Then I found a newsagent shop that inflated birthday balloons for people. Dominic: Hello do you sell helium? Shop keeper: yes, what balloon do you want? 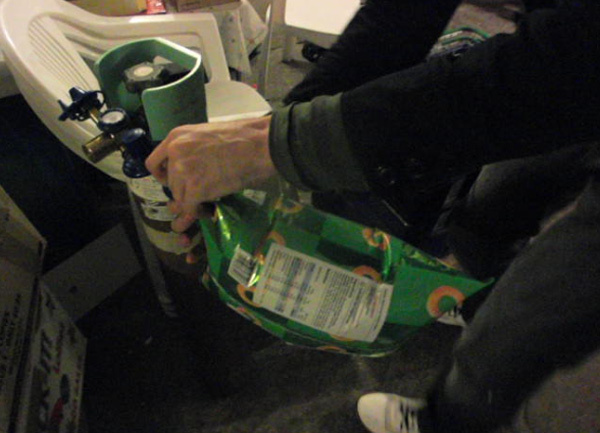 Dominic: Well actually I want to inflate a crisp packet. Dominic What even the metallic ones? Shop keeper: hmm don’t know. As you can see in the video the packet just sank to the floor. undeterred I bought some multi pack packets as they are bigger and lighter. On returning to the shop they were too busy to help so i found a florist and went through the explanation again. This time the assistant was a tough looking man who was saying that it would be expensive and there would be lots of wasted helium. I thought ‘I’m not asking you to fill up my Zeppelin parked outside.’ I ignored him and found another assistant called Kevin who was very helpful. 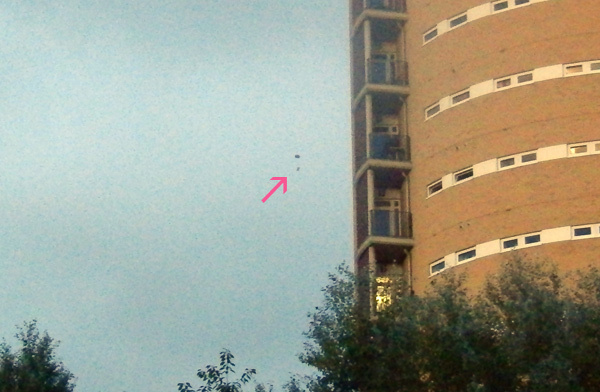 It worked and my crisp packet was flying around the florist. The other 2 packets I bought didn’t work so it was a bit of a failure in my attempt. I needed some extra lift to get my man in the air. However determined to end on a high (!) 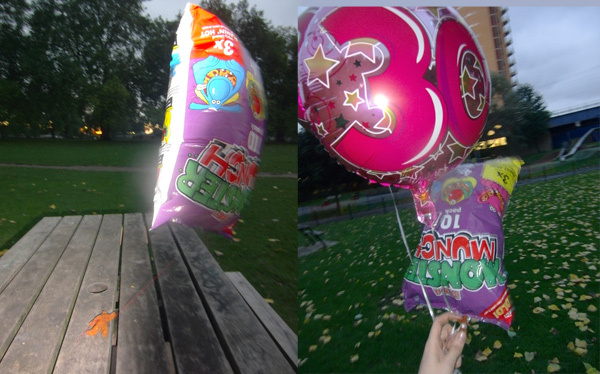 I bought two balloons to celebrate the 30th day of my Speed Creating project. The crisp man was carried far into the distance heading in an easterly direction. I hope you have enjoyed following my 30 days of Speed Creating I am going for a nap now. This is part of a 30 day Speed Creating project I am doing. Outcomes were exhibited at the Anti – Design Festival between 18th-21st September, Mestakes and manifestos, curated by Daniel Charny, Londonewcastle gallery, 28 Redchurch St, London. You can follow my progress on Twitter and Facebook, Click here to view all the days so far in a row. 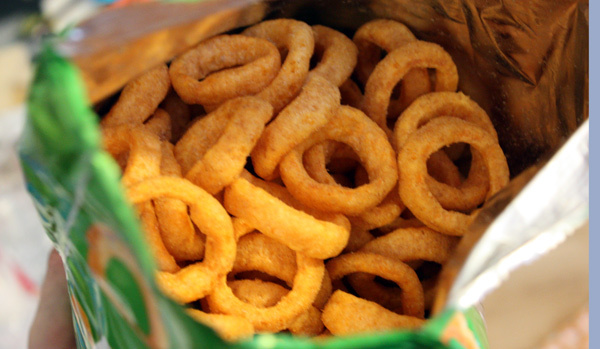 I forgot how addictive onion ring crisps (chips) are. Like many people I admire the looped shape of them. I thought about how to use them in a project and eventually ended with the idea of making a fabric out of them. 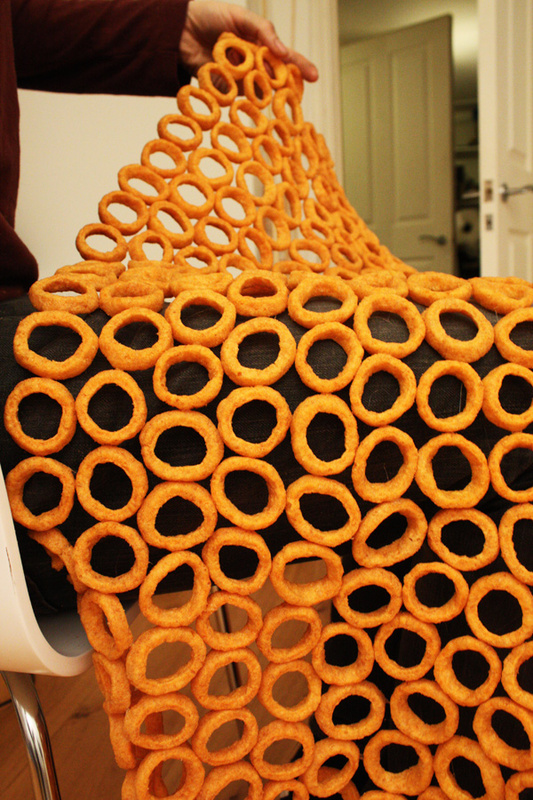 I glued the onion rings together with a flexible glue. 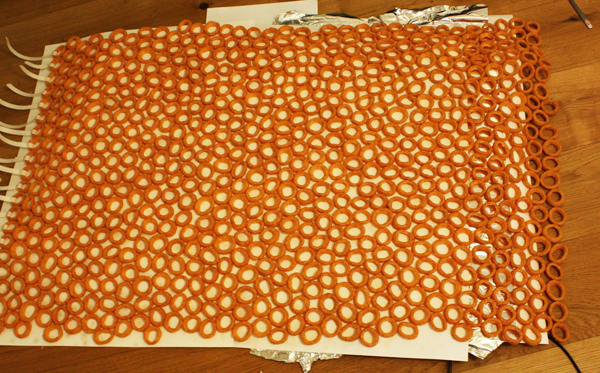 The main problem I had was that I kept eating the rings. This is however the perfect solution to my Day 8: Reminder Flag . 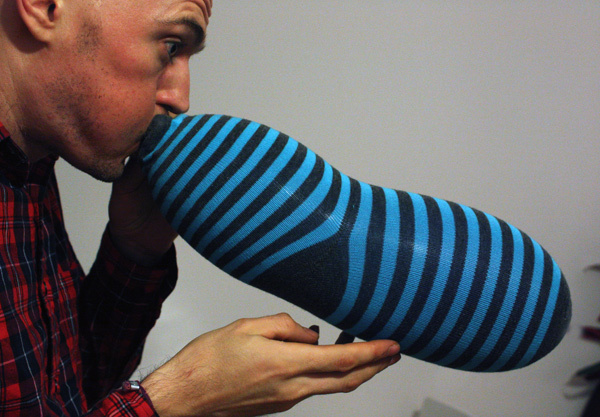 Balloons are great, I’ve had some good fun with them over the years and socks are just one of those excellent inventions. So I thought why not bring the two together? 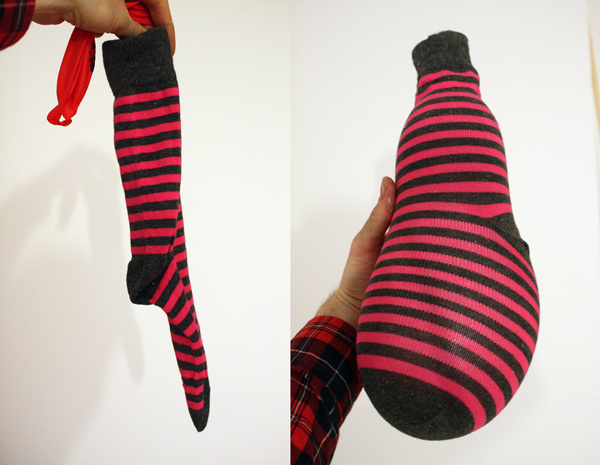 By inserting a balloon into a sock and inflating, the sock stretches to its fullest capacity. I then thought if I coat them in clear resin the socks could remain in that shape. I didn’t have enough time in the day and the resin I used didn’t harden quick enough so I improvised. In my resin testing at first I was trying to get the balloon out but then decided to let it stay in as it stuck to the inside of the sock when I pop it, giving an extra layer of strength but also adding a colour. 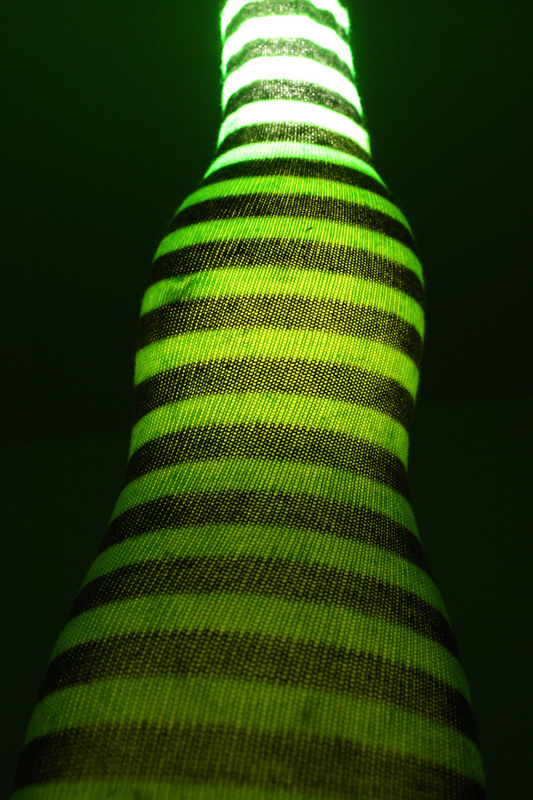 I will continue this one and make a sock lamp collection.